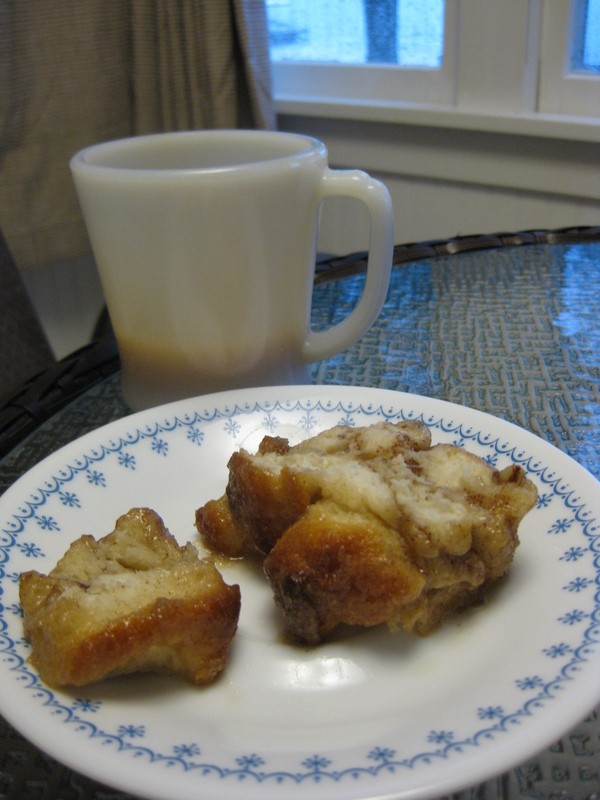 I promised to provide some of our traditional up north recipes and Monkey Bread is the place to start. It is for breakfast after all! I made this last night and despite the fact I was working in a rental cottage kitchen I had everything needed to make this amazing bread. Bundt pan- check, measuring cup-check, oven set to 350°- check. Alright you need a few other ingredients too, the main one being refrigerated biscuit dough. 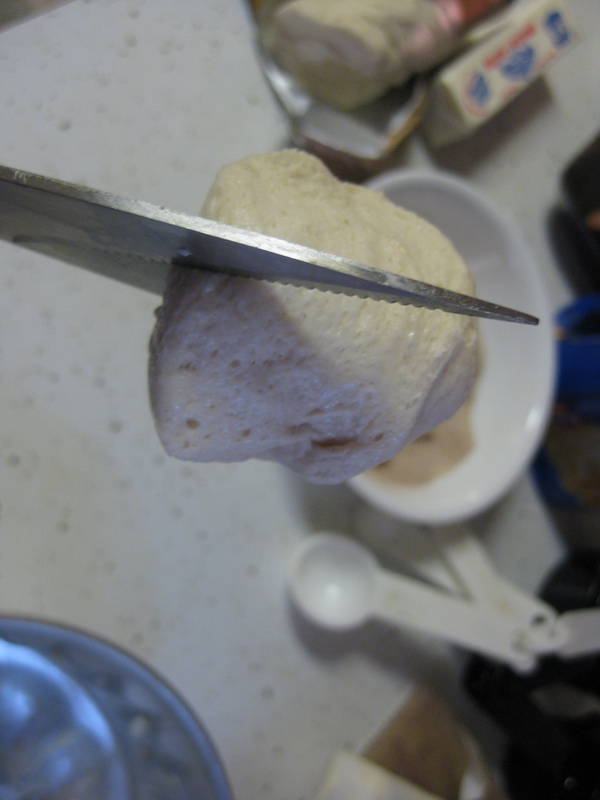 Snip the dough into quarters, the quickest way to do this is with some kitchen shears. Roll these lil’ dough nuggets in a cinnamon sugar mixture. Then layer over chopped pecans. Drizzle a brown sugar and melted butter mix over the top- it will seep down and make every morsel gooey and yum- and then bake for 35-40 minutes. If you make the night ahead, as I did, just reheat the pieces* in the microwave to give it the gooey just-baked taste again! Grease a bundt or tube pan. Put chopped pecans in the bottom. Snip the biscuit dough into quarters. 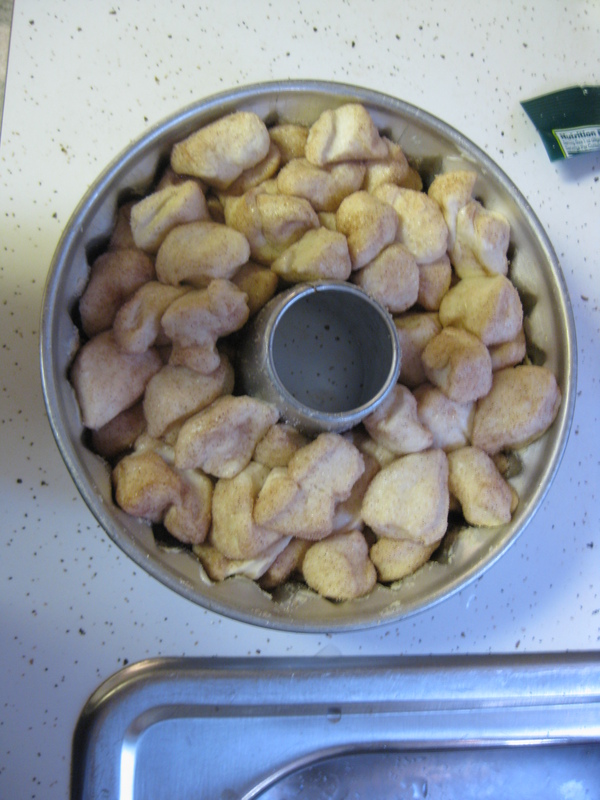 Combine the cinnamon and sugar mixture, then roll the dough pieces in it; layer them into the pan. 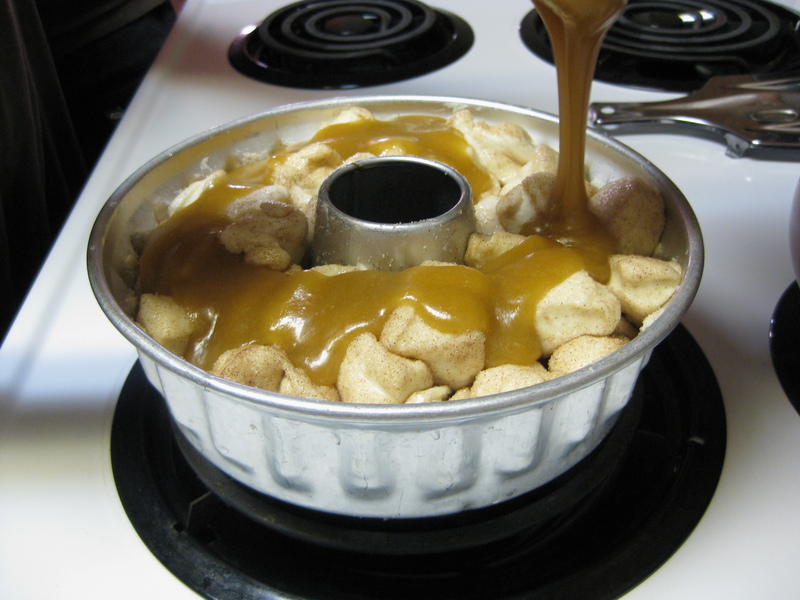 Melt the butter and brown sugar together over low heat in a saucepan. Stir until the sugar dissolves most of the way. Drizzle of the dough in the pan. Bake in a preheated oven at 350° for 35-40 minutes. The bread will really puff up and get golden brown on top. Let cool for 10 minutes, then invert on a serving plate. 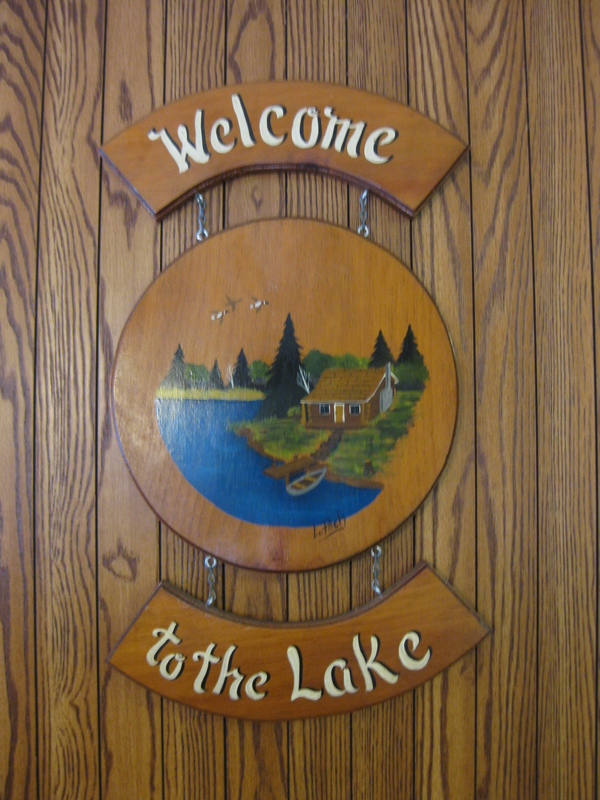 Eat warm, cold, or somewhere in between. It’s awesome either way! *Note: Why say pieces and not slices? Monkey bread is bread only in the loosest sense. Really, it is many balls of biscuit dough that bake together but are easily pulled apart into pieces as you eat. 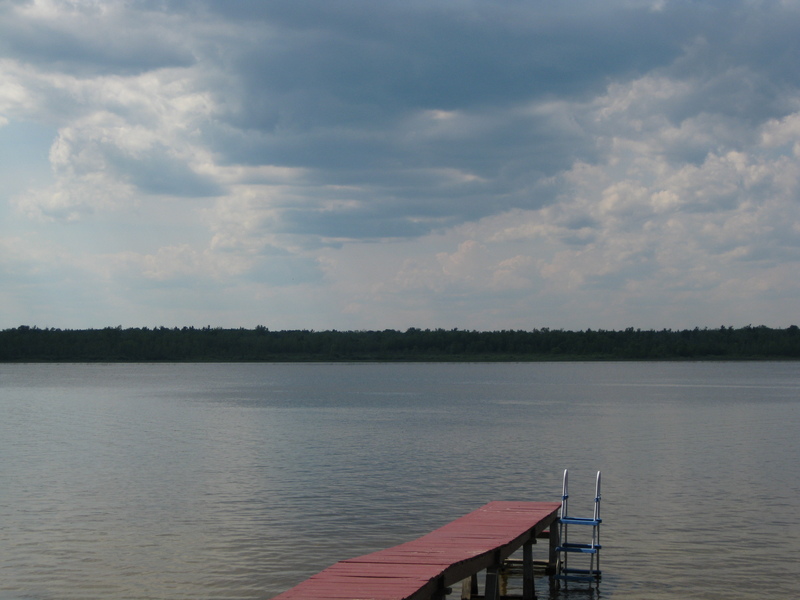 This entry was posted in baking, breakfast and tagged biscuit dough, breakfast, cabin, family, lake, michigan, monkey bread, nostaligia, up north. Bookmark the permalink. I’m so glad you’re having a great vacation! I can smell the monkey bread from here; yum! Thank you so much! I’m having a great time with my family, I’m so lucky. 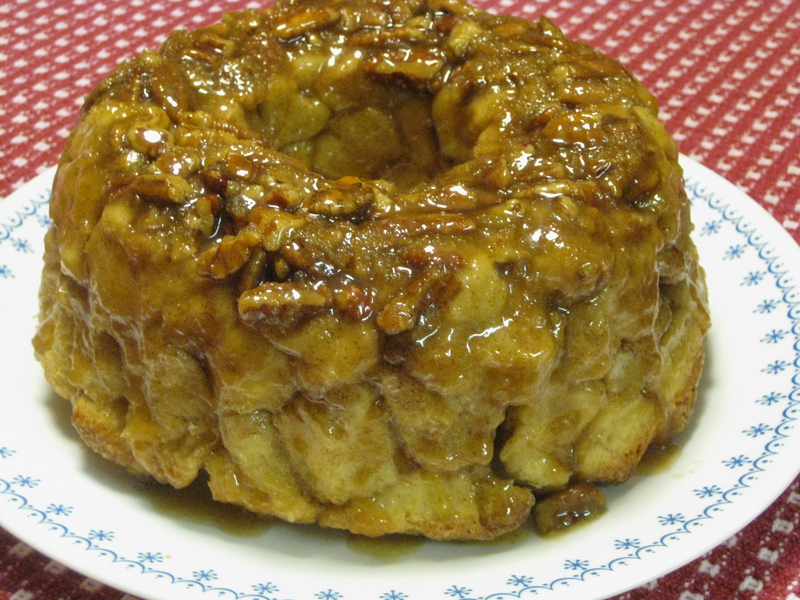 Monkey bread always reminds me of college and this recipe looks like it may just be the perfect one to try out!